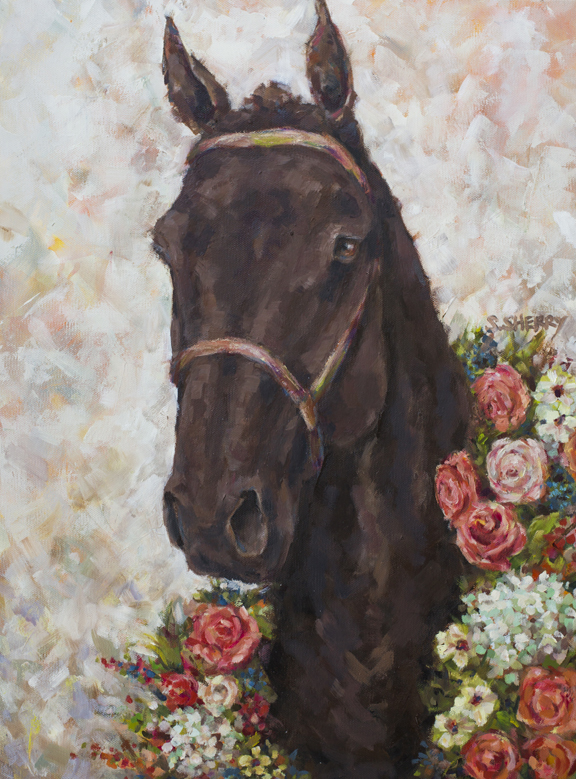 The artist for the 2018 Germantown Charity Horse Show program cover is Samantha Sherry, who lives in Germantown, Tennessee, but grew up in Mountain Home, Arkansas. 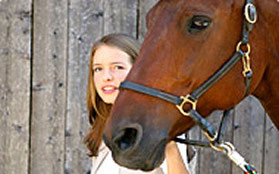 “Like many young girls, I was obsessed with horses. 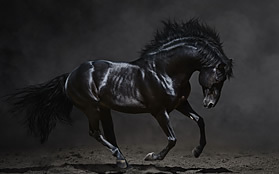 I dreamed about horses. I drew and painted them. I pored over books dedicated to them. 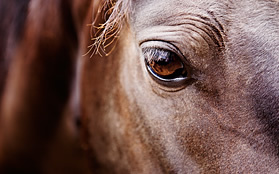 Eventually, my weekly horseback riding lesson evolved into horse ownership,” said “Sam” as she is nicknamed. Sam grew up riding in rodeos, and when she graduated from high school, she got a rodeo and an academic scholarship to Arkansas State University. In college she took painting as an elective class for fun. “But I fell in love with art,” she said, and she began taking more art classes and fewer animal science classes. In 2001 she graduated with a Bachelor of Fine Arts in Studio Art. In 2006 she completed her Masters of Fine Arts degree at the Memphis College of Art. Later, she earned a Master of Arts in Teaching. Now, she paints full time. Her latest project was the painting for the GCHS Program cover. “It was a huge honor to be asked to create this year’s painting and program cover. Because this is the GCHS’s 70th anniversary, I felt that it was important to reference the show’s rich history. After several days of research and sketching, I created five watercolors for the committee to review. Eventually we settled on an image inspired from a photo of W.N. 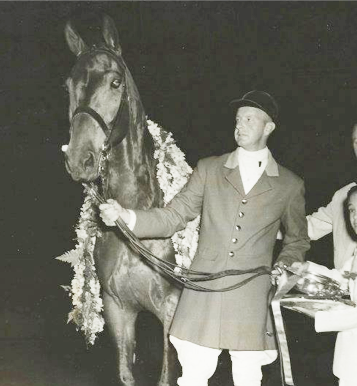 (Sonny) Foster and his horse “Kettle Drum” taken in 1953. Sonny was on the original Board of Directors and in 2005 the “bowl” at the Germantown Charity Horse Show named in his honor,” said Sherry. Find more information about her art work at www.samanthasherry.com and on facebook at Samantha Sherry Fine Art. See more of her work at her booth at the Germantown Charity Horse Show.